Suzy (Kara Hayward, left) and Sam (Jared Gilman) rendezvous in Wes Anderson's "Moonrise Kingdom." Courtesy Niko Tavernis FILE - This undated publicity film image provided by Columbia Pictures Industries, Inc. shows Jessica Chastain playing a member of This film image released by The Weinstein Company shows Joaquin Phoenix in a scene from "The Master." The film will be Courtesy The Weinstein Company Jennifer Lawrence (left) and Bradley Cooper star in "Silver Linings Playbook." 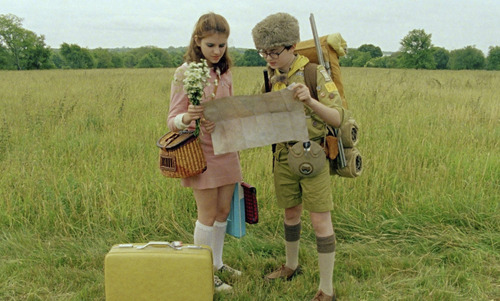 Suzy (Kara Hayward, left) and Sam (Jared Gilman) rendezvous in Wes Anderson's "Moonrise Kingdom." Courtesy Niko Tavernise | Focus Features FILE - This undated publicity film image provided by Columbia Pictures Industries, Inc. shows Jessica Chastain playing a member of the elite team of spies and military operatives stationed in a covert base overseas who secretly devoted themselves to finding Osama Bin Laden in Columbia Pictures' gripping new thriller directed by Kathryn Bigelow, "Zero Dark Thirty." (AP Photo/Columbia Pictures Industries, Inc., Jonathan Olley, File) This film image released by The Weinstein Company shows Joaquin Phoenix in a scene from "The Master." The film will be presented at the 37th Toronto International Film festival running through Sept. 16. (AP Photo/The Weinstein Company, Phil Bray) Courtesy The Weinstein Company Jennifer Lawrence (left) and Bradley Cooper star in "Silver Linings Playbook." The drama "Zero Dark Thirty," which tracks the CIA&apos;s decade-long hunt for Osama Bin Laden, was named the best movie of 2012 by the Utah Film Critics Association. The critics&apos; group met Thursday night to vote on its annual awards in a dozen categories. The Utah critics spread the love around, as "Zero Dark Thirty" was the only multiple winner. It also received a best-actress award for Jessica Chastain&apos;s performance as a driven CIA agent. Chastain shared the honor with Jennifer Lawrence, for her performance in the comedy "Silver Linings Playbook." "Zero Dark Thirty&apos;s" director, Kathryn Bigelow, was runner-up in the directing category, just behind Wes Anderson for his work on the whimsical coming-of-age comedy "Moonrise Kingdom." 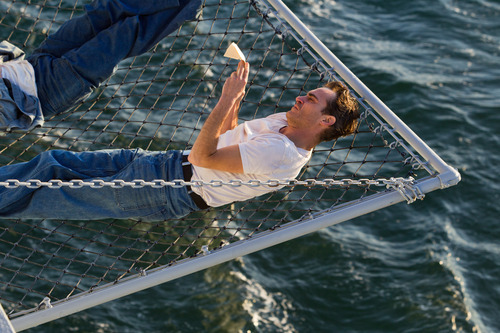 The Best Actor award went to Joaquin Phoenix for his portrayal of a spiritually lost ex-sailor in "The Master." Awards for supporting roles went to Dwight Henry for portraying a tough-loving father in "Beasts of the Southern Wild" and Anne Hathaway as the doomed Fantine in "Les Misérables."